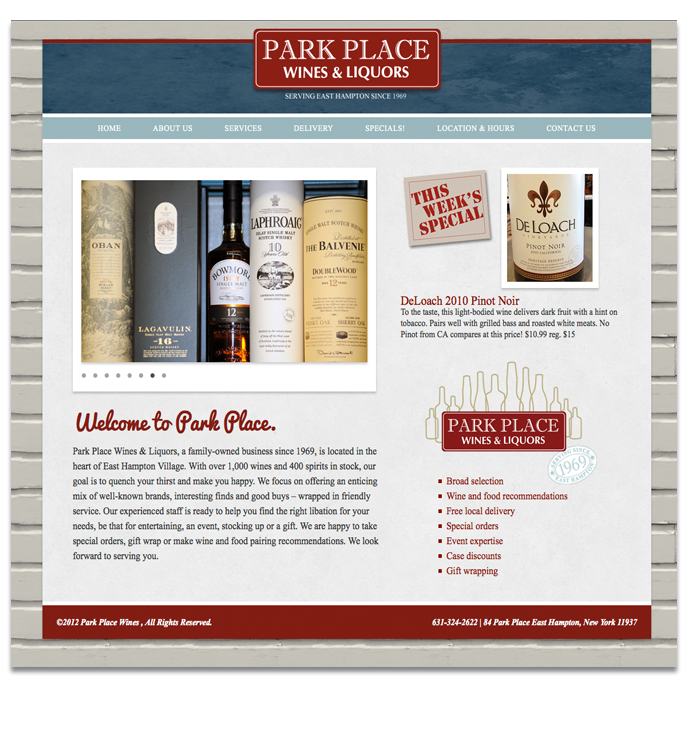 Located in the heart of East Hampton, New York, Park Place Wines is a bustling wine shop full of great deals and really friendly people. 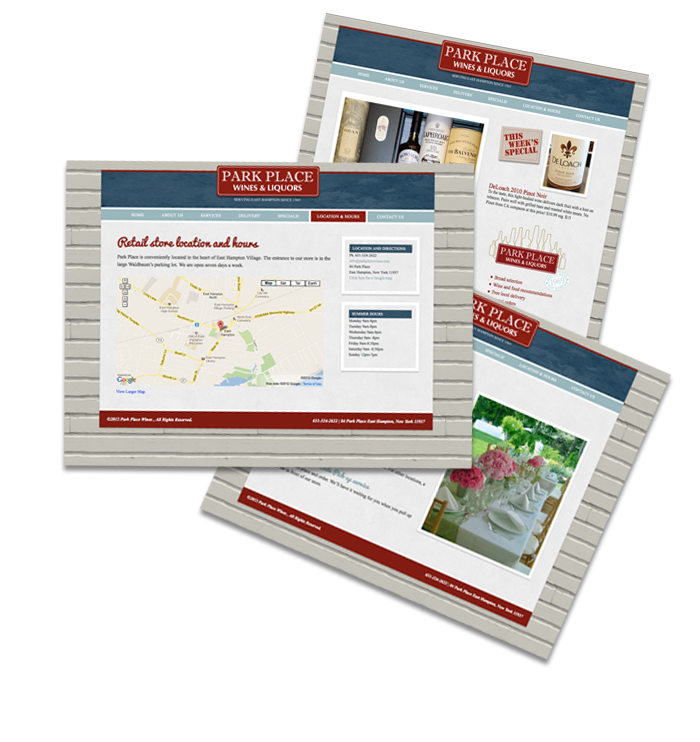 It was a pleasure to design and build this site for them. It is on a Wordpress platform, so they can update it as they wish with weekly specials and other information, including a blog which will be coming soon.